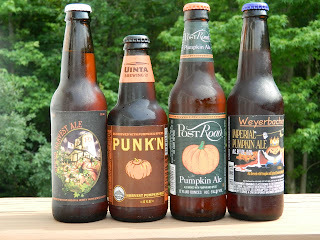 Last night at Gonzalo’s we had in impromptu Pumpkin Ale Tasting. He had several Pumpkin Ales left over from the fall and I had another Spiced Harvest Ale that the Wilson's gave me. The cool thing was that I have had and reviewed each of these in the past. So this was a good head to head competition. Here is how it went down. Fordham, was the clear winner for the best pumpkin flavor. Post Road, that was my Gold Standard for this style may be a better overall beer than Fordham but it could not match the authentic pumpkin taste of Fordham. Wyerbacher, had the most spice intensity and the biggest beer at 8% but it did not have the overall enjoyability as the Fordham or Post Road. Punk’n, had clearly come in last out of the group. So this tasting finally did it. My new Gold Standard for Pumpkin Ales is Fordham’s Spiced Harvest Ale. It was tough to topple Post Road. It was one of my first and my favorite pumpkin beer for many years. 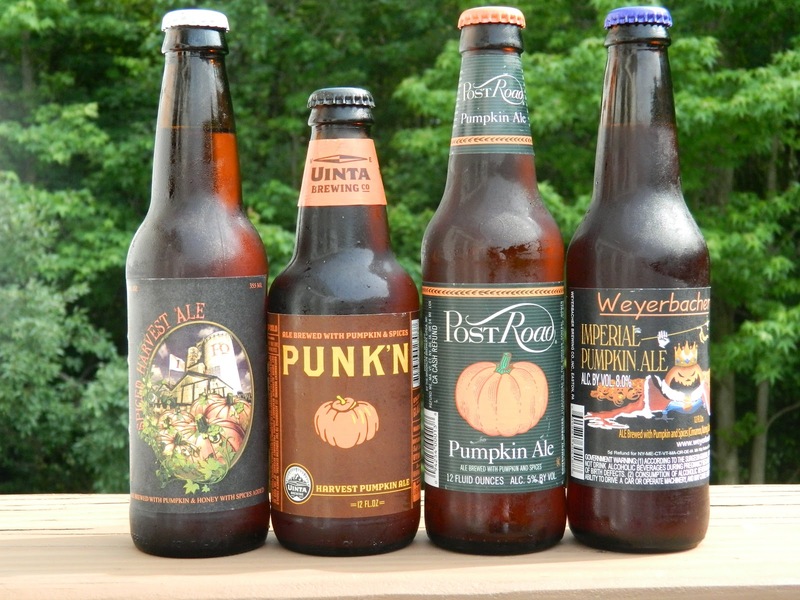 But it was clear doing a head to head with Fordham that Fordham had the better Pumpkin Ale. It was a cool little tasting, thank you Gonzalo and the Wilson family for making this possible.